"Then she falls for you… what happens then?" A24 has finally unveiled a trailer for one of our favorite films of Sundance 2013, James Ponsoldt's The Spectacular Now, another fantastic coming-of-age love story starring Miles Teller and Shailene Woodley. This indie gem is from the same guys who wrote 500 Days of Summer and tells an amusing, heartwarming, riveting story of young love and growing up. Ponsoldt is one of my favorite directors around, I love the performances he captures. Shailene more than anyone melts my heart. Mary Elizabeth Winstead, Brie Larson and Kyle Chandler make appearances, too. Enjoy! The Spectacular Now is directed by up-and-coming American filmmaker James Ponsoldt, of the films Off the Black and Smashed previously. The screenplay was co-written by Scott Neustadter & Michael H. Weber (500 Days of Summer, The Pink Panther 2, "Friends with Benefits") based on Tim Tharp's 2007 novel of the same name. A24 picked up the film after its premiere at the Sundance Film Festival, where it won a Special Jury Prize for Acting. A24 Films is releasing The Spectacular Now in select theaters August 2nd this year. 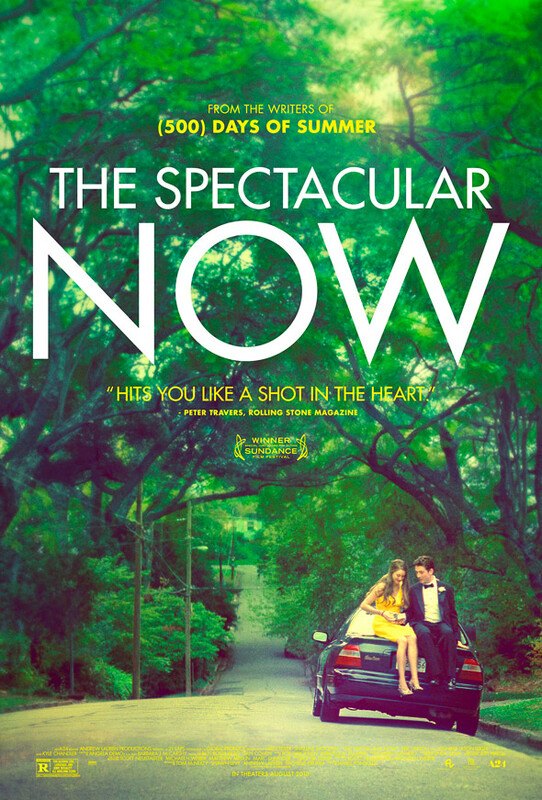 Above is the official release poster for Ponsoldt's The Spectacular Now, debuted along with this new trailer. Quite charming. Loved 500 Days of Summer. I anticipate that i'll love this just as much! This and Upstream Color were my favorite films at Sundance this year. Brilliant.